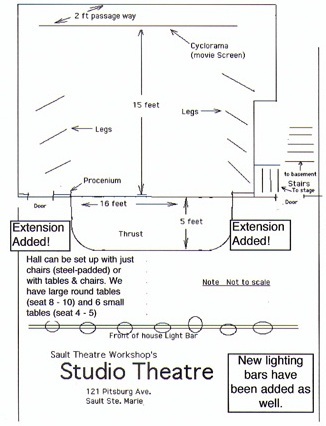 The Studio Theatre is our rehearsal, hall, performance space and home to our young company “Stage 1”. It has a capacity of 130 using only chairs. With table and chair setup we hold 90. There is a refreshment bar with a full sized fridge. We have a small proscenium stage 15 ft. deep and 16 ft. across the proscenium. We added a 5 ft. thrust and then added extensions. There is very limited wing space. There is a passageway at the back of the stage behind a screen, which can be used a a cyclorama. We have added extensions to the thrust on each side giving us a 25 ft. span. We have a black traveler curtain to cover the back and a black velvet curtain across the proscenium. We have a large lounge area in the basement closed off from the public and lots of comfy furniture with cubicles for changing and a make-up mirror. Washrooms must be shared with the public. Our lighting is done with a Strand board and 24 channels. 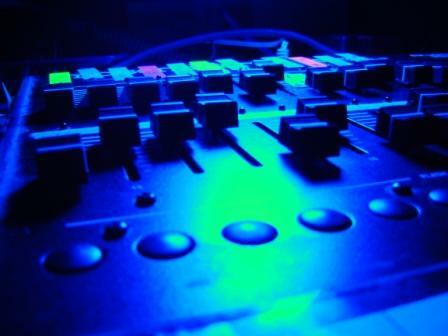 The lighting instruments available depend on set ups but generally there are 20 on hand. Sound equipment lists a mixing board and a couple of good speakers set under the stage. We have a dedicated computer with a CD player and a collection of sound effects. 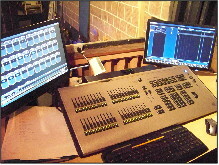 We operate lights and sound in a booth upstairs overlooking the stage. We also have a telephone ringer wired from the booth and a smoke machine. Depends on use and user. Normal rate is $100 per night. Call to get quote. Contact Harry Houston at 946-4081 or any member of our executive.